EcoTele provides businesses with bespoke voice communications & are proud to be completely independent of any single network,carrier or system. We identify our clients communication needs & budget in order to deliver the right solution whether that be VoIP, Fully Hosted or traditionally based Hybrid IPPBX. All backed by our TCO (Total Cost of Ownership) guarantee on every system. * Services wrapped in one simple monthly payment - per extension user. * Low entry cost & ease of deployment. 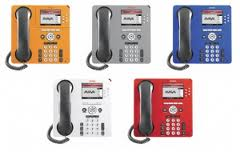 * Ideal for multi site companies, remote/home working, satellite & international offices. * All site to site calling is free of charge. * Be based anywhere: International & any UK city number can be displayed at any location you are calling from. Be local to your clients in the UK or abroad & increase sales. * Mobile twinning: All your office calls can be made & received from your Smartphone displaying your UK office number when you dial out. Even whilst you're overseas & at your local UK calling rates.